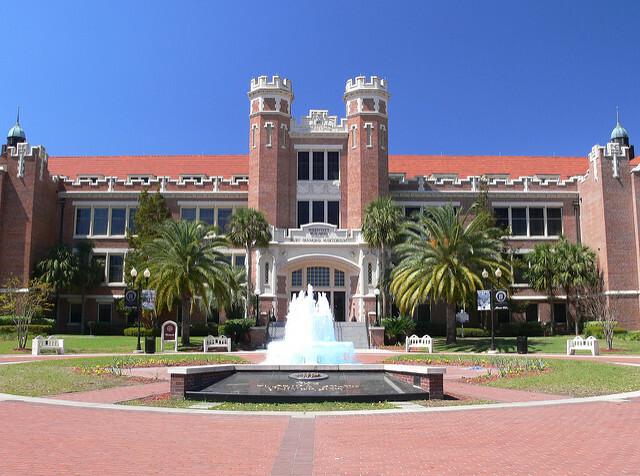 Florida State University accepted another excellent class of students after receiving a record number of applicants for the second consecutive year. Florida State received nearly 57,000 first-year applications for admission to the 2019 summer and fall semesters before early notifications on Jan. 31. That’s already an 11.9 percent increase over last year’s record number of total applications received, and students still have time to apply before the final deadline on Feb. 7. As applications continue to soar, the quality of the applicant pool remains strong. The middle 50 percent of accepted students for the fall semester had a grade point average in the range of 4.1-4.5 with a 1270-1390 total SAT score and 28-32 ACT composite score. Over the past three years, Florida State has moved up 17 places in the U.S. News & World Report Best Colleges rankings to No. 26 among national public universities. Florida State admitted 19,230 students from every county in Florida, 49 states, Washington, D.C., and 37 countries. Out-of-state applications increased 41 percent with the acceptance rate for out-of-state students at 19.5 percent. Twenty-three percent of admitted students will be the first in their family to attend college. Biological science, business, engineering and psychology were the most popular majors among this year’s admitted freshmen. The final round of decisions for the 2019 summer and fall semesters will be announced March 28. Students with admission notices have until May 1 to confirm whether they will enroll. FSU expects to enroll about 6,200 freshmen in the Class of 2023. 3 Responses to "Florida State Shatters Admission Applications Record, Again"
Can any of them throw a football? To someone in similarly-clad apparel? Please go somewhere else. Tallahassee is full. My daughter attended FSU for her 3rd & 4th year, graduated in 2017. Frankly I was appalled at the huge classes – even in Jr. & Sr. years, and the lack of actual professor attention, even grading papers, answering emails etc. Her B.S. was a stepping stone to P.A. school so all turned out OK (she’s graduating from there this Aug). We had pre-paid, but she still had to pay quite a bit of money every semester – fees for things she never used as a commuting student with a full time job. I guess my point is, I cannot understand why anyone would want to send their kids to FSU for Fresh & Soph years! We were very happy with TCC – my 2 older ones went there the 1st 2 years also, then finished up at UF & Flagler. At TCC the professors seemed much more involved with the students, and they were able to connect with their professors personally if desired.